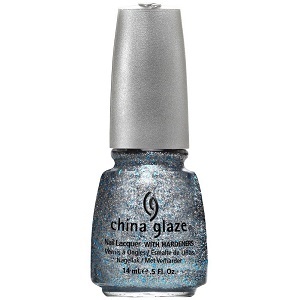 China Glaze Nail Polish, Lorelei's Tiara, 1053, .50 fl. oz. Small round silver glitter mixed with larger blue hex glitter in a clear base.